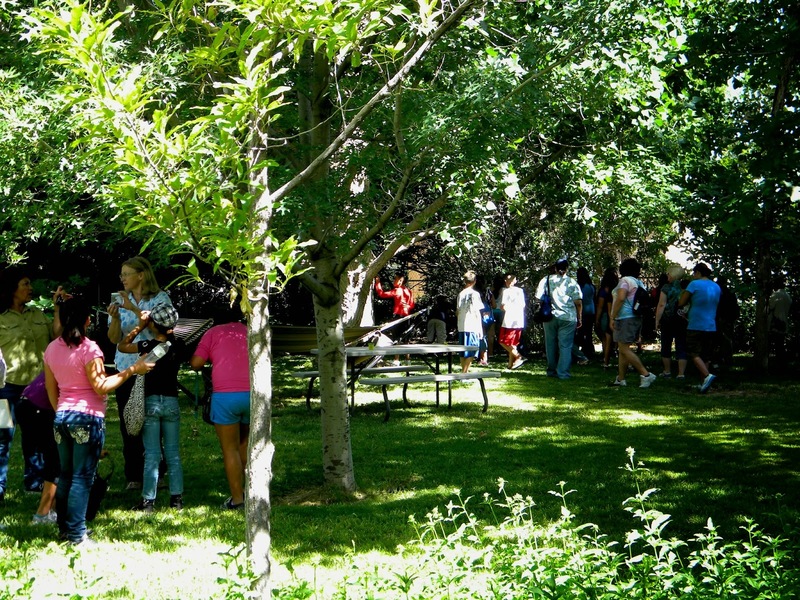 The Arboretum Tomé Annual Open House and Garden Party Is Coming Soon! Open House and Garden Party. The Arboretum Tomé is a private collection of trees developed by Michael Martin Meléndrez, who for 26 years has been using biological restoration techniques on the native soils of the site. and public school grounds across the country. Summary: New findings show that a beneficial soil fungus plays a large role in nitrogen uptake and utilization in most plants. New findings show that a beneficial soil fungus plays a large role in nitrogen uptake and utilization in most plants. 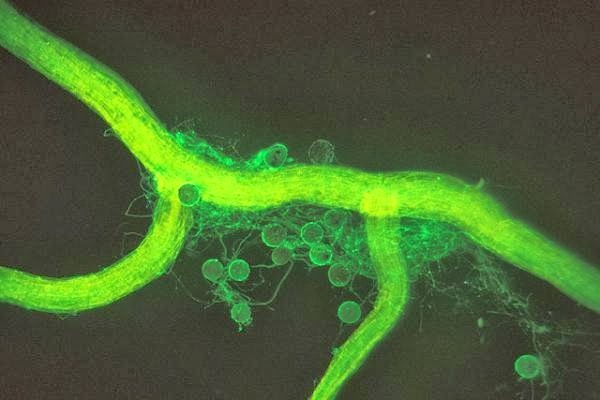 In a recent issue of the journal Nature, Agricultural Research Service (ARS) chemist Philip E. Pfeffer and cooperators report that beneficial arbuscular mycorrhizal (AM) fungi transfer substantial amounts of nitrogen to their plant hosts. A lack of soil nitrogen often limits plant growth. The studies were conducted by Pfeffer and David Douds at the ARS Eastern Regional Research Center, Wyndmoor, Pa.; Michigan State University scientists headed by Yair Shachar-Hill; and New Mexico State University scientists headed by Peter J. Lammers and including graduate student Manjula Govindarajulu. AM is the most common type of symbiotic fungus that colonizes the roots of most crop plants. The fungi receive glucose and possibly other organic materials from the plant, while enhancing the plant's ability to take up mineral nutrients, primarily phosphorus. The scientists previously identified enzymes and genes involved in nitrogen absorption and breakdown in AM fungi, but very little was known about how nitrogen is moved from fungus to plant or in which form nitrogen moves within the fungus. The researchers discovered a novel metabolic pathway in which inorganic nitrogen is taken up by the fungi and incorporated into an amino acid called arginine. This amino acid remains in the fungus until it is broken down and transferred to the plant. The above story is based on materials provided by USDA / Agricultural Research Service. Note: Materials may be edited for content and length.